If you’re curious about the birds of Saudi Arabia, the best — perhaps the only — place to see them is at the May 19th meeting of the Sacramento Audubon Society. Tourist visas are not issued by the Saudis, and few birders live or work there, according to Speaker Lou Regenmorter, who spent most of his spare time birding while working as an engineering consultant on a flood control project in Saudi Arabia. The kingdom, five times the size of California, is not just a big desert, he points out. It has acacia savannahs, mountain juniper forests, rocky escarpments and plateaus, and expansive coastal areas. Fresh water is scarce, but there are a few reservoirs, farming operations, and wastewater wetlands that provide an additional bit of man-made habitat. And there are lots of birds. In the three and a half years he was there, Regenmorter tallied 340 species, and that’s still short of what could be found, he notes. 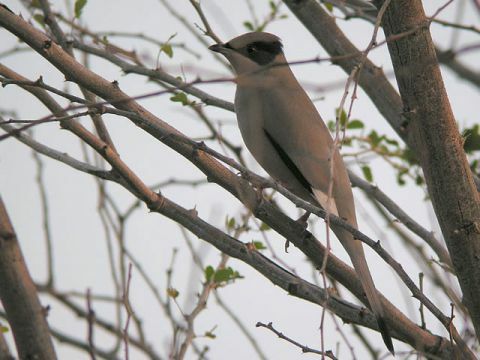 Resident birds include at least 10 species found only on the Arabian Peninsula, he reports. There are migrants and winter visitors from Europe and Asia, summer residents from Africa. Other special birds found in the kingdom include large populations of resident Crab Plovers and wintering Grey Hypocolius, and a number of wintering Sociable Lapwings, a critically endangered bird. The public is invited to the 7 p.m. meeting at the Effie Yeaw Nature Center in Ancil Hoffman Park (For directions, see sacnaturecenter.com). There will be no charge for the program, and no park entry fee.